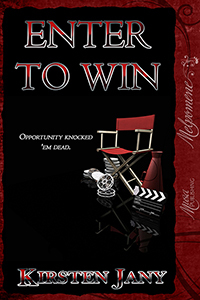 Today we have a sneak peek from Enter To Win, the mystery novel by author Kirsten Jany. Director Rob de Heer’s latest publicity stunt to revitalize his failing soap Crystal Falls – a contest giving viewers a chance to have a character shaped after them – seemed brilliant…right until Rob was found murdered on the set. Could the key to Rob’s death lie in the four finalists who have been invited to spend two weeks in a mansion in the Hollywood Hills? Now the police recruit Rob’s underpaid lackey Jeremy to babysit two liars, an accused wife killer, and a snitch under the guise of shooting a reality show that will crown one of them the winner. Competition has never been this deadly. This book is available from Amazon, Barnes & Noble, Kobo, and Amazon UK. 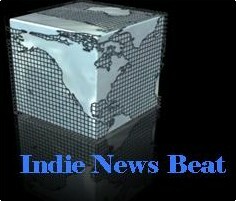 Indie News Beat: Now With Extra Snark! Greetings from the Indies Unlimited Broadcasting Plaza. Our satellites scour the cyberverse for news, views, and crap you can use. Chris James is still on sabbatical, promoting his new book. So, get out there and buy some copies so I can put him back on the job. Author Stephen HisePosted on July 23, 2013 July 19, 2013 Categories Indie News Beat, Staff ArticlesTags Huffington Post, Kristen Lamb, marketing news, Passive Guy, publishing news, The Guardian UK, writing news9 Comments on Indie News Beat: Now With Extra Snark! Have you toiled for months to produce a fascinating eBook? Did you do all the right things to promote it, giving away thousands of copies, only to find no one is posting reviews? Those days are over! ReviewBot is an innovative technological advance aimed at making sure the people who download your book follow through with reviews. The program works by simply installing a few thousand lines of code at the end of your regular MOBI file. Once your book is downloaded, ReviewBot will provide up to two weeks for the customer to finish the book and post a review. If they don’t, ReviewBot will log on to their Amazon account by reverse-engineering the process they used to download your book, and will post a review on their behalf! ReviewBot uses a sophisticated review language randomizer so that each review is uniquely worded. The analyzer will assign a star-rating that is equal to the modal value of the reviews already on your book, or automatically assign five stars if your book has less than ten reviews. Just imagine the impact on your book’s position in the Amazon algorithms. With ReviewBot, your book will have stars enough to outshine titles by the big publishers, getting you the attention you deserve! Why toil in obscurity any longer? Order yours today! DISCLAIMER: The FCCCP has not approved ReviewBot for areas with heavy military or civilian air traffic or near areas in which flammable materials are stored. Aim ReviewBot away from face. Do not use heavy solvents to clean ReviewBot. If a rash develops or persists, contact your dermatologist. That doesn’t have anything to do with ReviewBot – it’s just good advice. 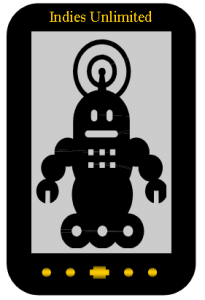 Author Stephen HisePosted on July 23, 2013 July 19, 2013 Categories Fake-OutsTags fake ads, humor, satire32 Comments on Introducing ReviewBot!